Wash and clean the rocket and basil leaves and the cherry tomatoes, cutting these ones in half. 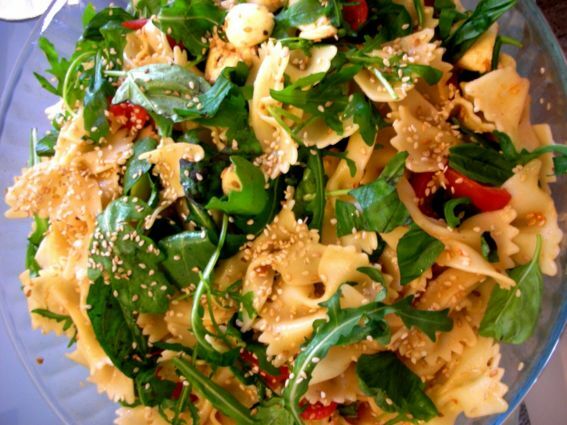 In a large bowl, mix the pasta with the extra-virgin olive oil, the balsamic vinegar, a pinch of salt and pepper. Then add the cherry tomatoes, the buffalo-milk mozzarella, the rocket and basil leaves and mix all the ingredients together, adjusting salt and pepper, if it’s necessary. Sprinkle sesame seeds and serve it cool.